Reduce frizz and provide shine to dull or lifeless hair. Protect hair from damage caused by styling or outdoor activities. Improve elasticity and reduce hair loss due to breakage. Increase hair growth, solving problems with balding. Keep the roots of the hair hydrated, protected, and well nourished. Help control, cure, and prevent dry and itchy scalp. Have antimicrobial properties, making it great for the skin and lesions. Help to stimulate the renewal of skin cells, making the skin more elastic. Essential fatty acids like linoleic acid help preserve cell integrity. 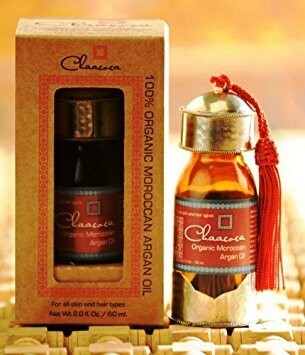 Argan oil has 3 times more linoleic acid than olive oil. This high concentration of linoleic acid helps to restore the skin’s elasticity. Support the production of subcutaneous collagen and fights against the free radicals responsible for wrinkles and skin lines. Rehydrate dry and damaged skin, helping to reverse aging. Help relieve sore muscles caused by aging. This is done by massaging the oil onto the whole body. Be easily absorbable by the skin. Because it does not contain any cholesterol, it does not leave any residue. Regulate and keep the PH balance of the skin normal. This keeps the skin protected from sun exposure, smoking, pollution, etc. Help to protect skin from infection that could be caused by skin cracks due to cold temperatures and indoor heating systems. Regulate sebum production to keep the skin’s natural oils at a healthy level basically for oily skin. When too much sebum is produced, acne usually occurs. Nourish and moisturize scaly and flaky skin. Soothe itching associated with eczema or psoriasis. Be effective in helping to eliminate scars produced by chicken pox and burns. Help prevent and reduce visibility of pre-existing stretch marks: The antioxidants prevent the breakdown of two important skin proteins – elastin and collagen. These two components are important in skin regeneration. Regular application will quickly help to substantially prevent and reduce stretch marks. Help to relieve muscle cramping and restless leg syndrome. Help keep your cuticles soft and manageable, and it also helps keep your nails healthy and strong. Hair care: Before showering, massage the oil into the scalp and hair from root to tip. Comb through hair to distribute evenly. Leave in at least 30 minutes. Shampoo (preferably with Chaacoca Shampoo) and rinse hair. Face: Apply as a moisturizer to face and neck after evening make-up removal for maximum skin rejuvenation effects. You may also use in the morning before applying other creams and/or makeup. 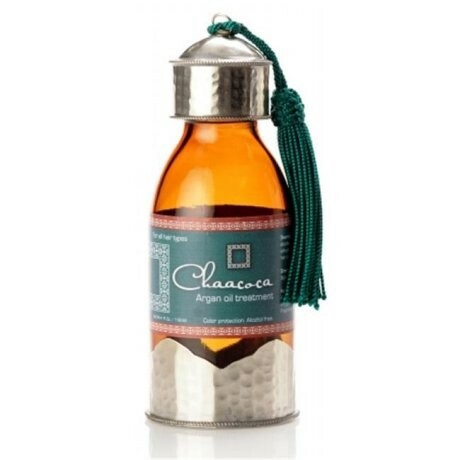 Skin Care: Argan oil can be used on the body at any time. Apply to rough or dry areas of the hands, elbows, knees, and feet. Nail care: To strengthen weak or brittle nails, mix equal share of the oil and lemon juice. Soak your nails for at least 15 minutes, and then wash your hands. 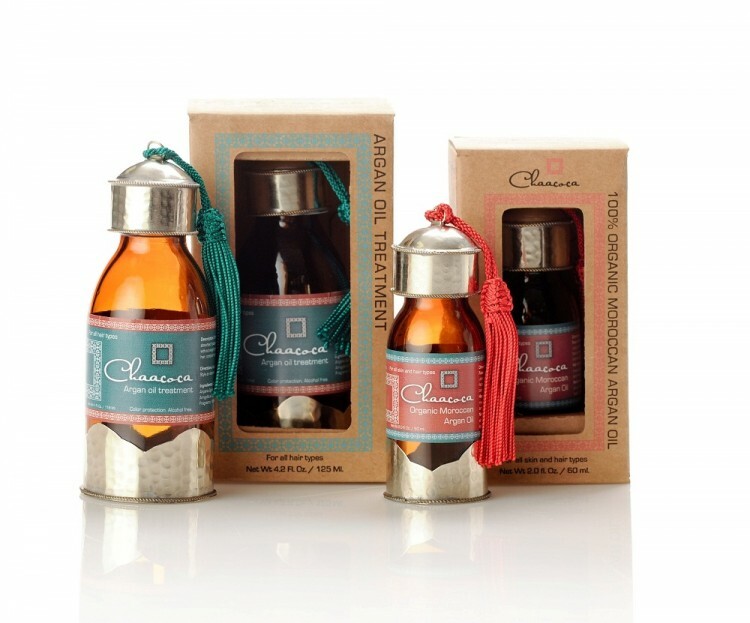 Massage: After showering, massage the oil onto the entire body for a luxurious total body moisturizing experience. For expectant mothers: Gently massage oil onto the areas most commonly affected by stretch marks such as the breasts and abdomen. Use once a day. As you grow, you may want to increase the use. 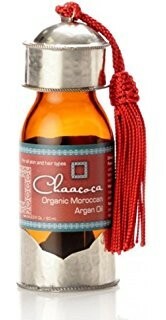 Continue using Chaacoca's Organic Moroccan Argan Oil for at least four months after delivery to help restore skin elasticity and tone. Net Wt 2.0 fl. Oz. / 60 ml.